Best looking Halo 5 medal? Sadly there hasn't been that much content on off topic recently so I decided to make this thread. The question is simple, which of these 270 Halo 5 are the nicest looking in your book. Sadly, if I posted it on the halo forums, the results would be far from objective. Finally, I have to add that for a large portion of these medals are completely unknown to the community that they exist and some of them are based on my current understanding of Halo 5 impossible to get. Is that the Pepsi logo? I quite like the ones with the square yellow backgrounds. Apparently they aren't that well liked, Axel. Lol. The community has actually preferred Bungie's medal designs as they were slightly more unique and in my opinion in addition to that slightly better designed. The one with the bull looks pretty cool. I'd agree, I liked the old Bungie ones. 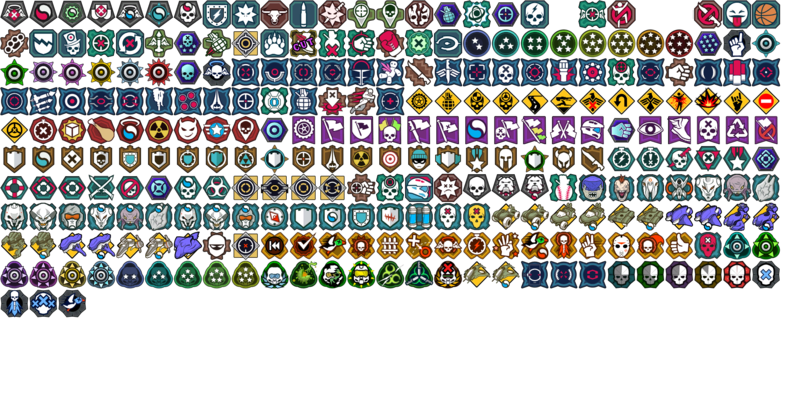 From what I've seen of these, Bungie's medals were more unique, whereas a lot of these look really similar. Maybe it's partly due to how many there are. Do you have a similar chart of, say, Halo 3's medals for comparison? I don't think so as this chart was extracted from Halo Waypoint and I extracted it just when checking for images hidden behind the page sources. What do you think of Halo's new art style in general, Axel? Personally I've found myself liking it less and less beginning with Reach. I have actually seen it to be a tiny disappointment. The art style has started to feel so different since Halo Reach and Halo 4 as they started to redesign everything from the ground up. I can say that this is the Bulltrue medals which has been in the games for quite a while. Here is how the medal has evolved over time. Finally, a top secret intel indicates that this is my 6,666th forum post created.